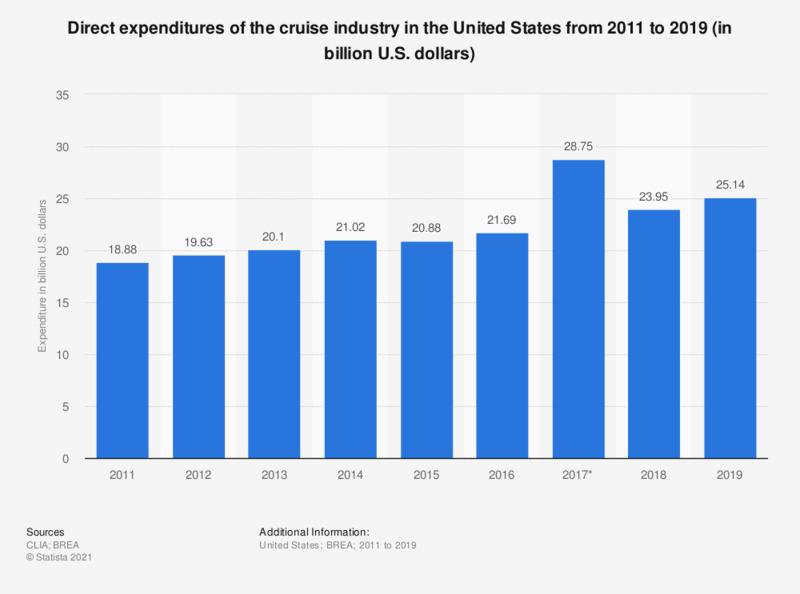 This statistic shows the direct expenditures of the cruise industry in the United States (and North America) from 2011 to 2017. In 2017, the expenditures of the U.S. cruise industry reached 28.75 billion U.S. dollars. *Figure for 2017 includes the whole of North America. Expenditure of cruise lines in the U.S. for goods and services (including capital expenditure), passenger and crew expenditures, and wages and taxes paid by cruise lines.